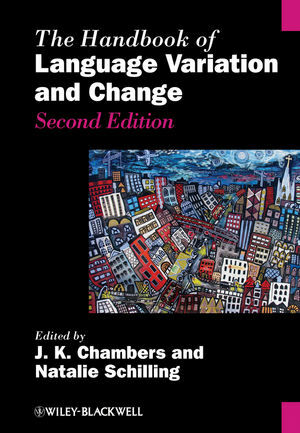 Reflecting a multitude of developments in the study of language change and variation over the last ten years, this extensively updated second edition features a number of new chapters and remains the authoritative reference volume on a core research area in linguistics. J. K. Chambers is Professor of Linguistics at the University of Toronto. He is the author of Sociolinguistic Theory: Linguistic Variation and its Social Significance, Revised Edition (Wiley-Blackwell, 2009) and Dialectology, Second Edition (with P. Trudgill, 1998), as well as numerous other books and scores of articles. He works extensively as a forensic consultant and maintains a parallel vocation in jazz criticism, having published a prize-winning biography of Miles Davis, Milestones: The Music and Times of Miles Davis (1998) and a volume on the bebop pianist Richard Twardzik (2008). Natalie Schilling is Associate Professor of Linguistics at Georgetown University. She is the author of American English: Dialects and Variation, Second Edition (with W. Wolfram, Wiley-Blackwell, 2006), Sustaining Linguistic Diversity: Endangered and Minority Languages and Language Varieties (with K. King, L. Fogle, J. J. Lou, and B. Soukup, 2008), and Sociolinguistic Fieldwork (2013). An expert in language variation and change in American English, she conducts workshops on sociolinguistics and education, as well as forensic linguistics, and is a noted consultant in both these fields.